Our extra virgin olive oil "Olevm" is produced by using three olive varieties (moraiolo, frantoio, and leccino) within the classic Tuscan landscape characterized by olive groves growing on terraced fields with dry stone walls. Early harvesting as soon as olives are ripe, pressing within 48 hours from harvest, aging the oil in stainless steel tanks and bottling it in dark glass bottles are the secrets to guarantee the high quality of this product. 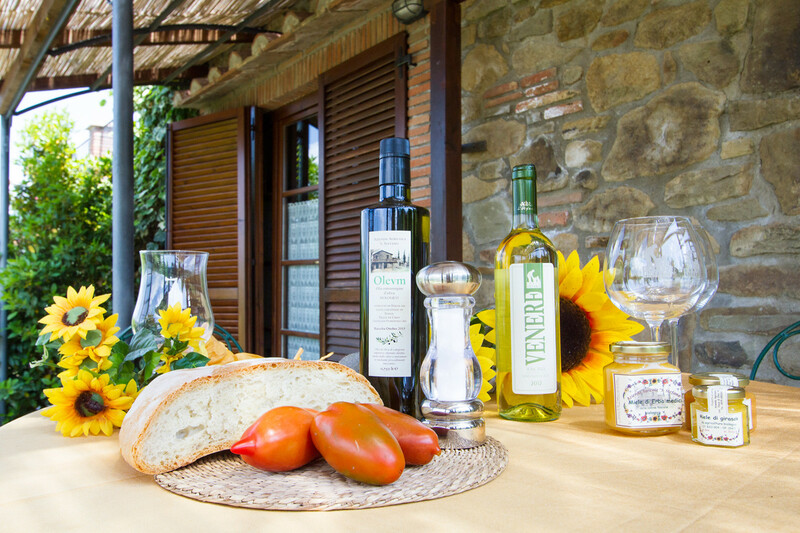 Direct sale is available at the farm, where it is also possible to taste this Tuscan organic extra virgin olive oil on delicious toasted bread. All of our produce comes from organic farming. This high-quality olive oil is obtained directly from organic-grown olives and by using exclusively mechanical methods. Any personal information, provided to us on whatever basis, will be kept by information media in compliance with rights and safety measures as defined in the regulation in force about personal information protection and exclusively used to answer your enquiries (pieces of information, reservations, etc…) or processed to advertise the services and products offered by us to our customers. Anyone who has sent his or her own personal information to us (name, e-mail address, etc…) is entitled to demand information at any time concerning the data that we have stored about him or her as well as to require their rectification, update, integration or cancellation at the following e-mail address: info@agriturismosantostefano.com (person in charge Antonio Bernardini).